The beautiful Lauren from An Impatient Scottish Girl nominated me for the NEW Liebster Award. I've been following Lauren from the beginning and I really enjoy her blog, so please check her out! 4. Nominate 5-20 people to do the questions. 1. What are your top 3 bloggers and why? I am a huge fan of Lisa Eldridge. What I like the most about her is that her makeup looks are always very pretty and classy. Nothing is over the top with her. I've also been really enjoying Vivianna Does Makeup and Essie Button because they are current, easy to relate to and quite funny. I am driven by the thought that we are the creators of our own destiny and responsible for our own happiness. So everyday I try my best to do things I love and be around positive people who help me achieve my dreams. 3. What little thing makes you happy?My husband & my family. Not sure they can be called "little things", though, as they are my foundation and my biggest support. If I were to mention proper little things I'd say music and a walk in the park on a sunny day make me very happy. 4. What is your dream job/ personal goal? My dream job would be to work in the Beauty Industry, with either something related to my career, which is Marketing, or anything else. 5. Do you have a favourite food? Anything sweet. I have the sweetest tooth ever. So desserts are my favourite thing. But I'm also addicted to sushi! Very difficult one, but I will have to go with MAC. I love their products because they are really good, for a reasonable price. There are quite a few I'm liking at the moment, but my favourites have been Zara and H&M. 8. What would be your spirit animal and why?I'd say dog because I'm a very affectionate and loyal person. 10. Have you changed much over the last year? I'd like to believe I am constantly changing to become a better person. I try to work on it every day. Supernatural or Romance just because they are my favourite genres. My favourite beauty brand is MAC too.. I'm currently waiting on a cheeky order from Debenhams! Amen to number 10, that should be everyone's goal in life. Great questions and such lovely answers! 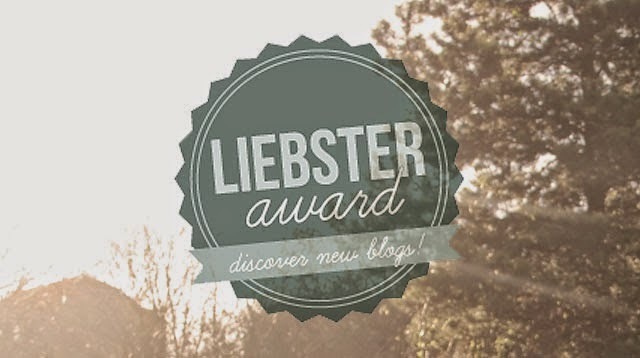 OOoh there's a new leibster award going round?